1. Tie, Necktie : ٹائی : (noun) neckwear consisting of a long narrow piece of material worn (mostly by men) under a collar and tied in knot at the front. Which tie will go with that shirt? String Tie - a very narrow necktie usually tied in a bow. 2. Tie, Marry, Splice, Wed : شادی کرنا : (verb) perform a marriage ceremony. Officiate - act in an official capacity in a ceremony or religious ritual, such as a wedding. 3. Tie, Affiliation, Association, Tie-Up : تعلق - الحاق : (noun) a social or business relationship. 4. 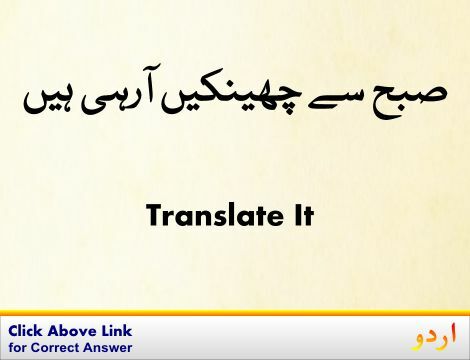 Tie, Draw : کھیل برابر کرنا : (verb) finish a game with an equal number of points, goals, etc..
5. Tie : محدود ہونا : (verb) limit or restrict to. Bound, Confine, Limit, Restrain, Restrict, Throttle, Trammel - place limits on (extent or access). 6. 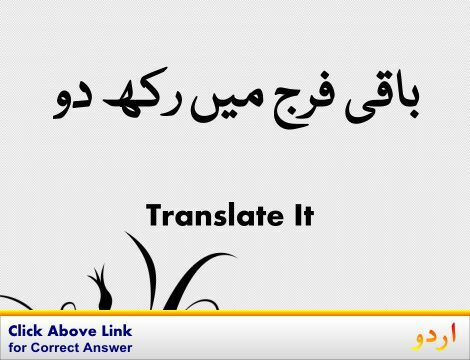 Tie, Connect, Link, Link Up : باندھنا - منسلک کرنا : (verb) connect, fasten, or put together two or more pieces. Conjoin, Join - make contact or come together. 7. 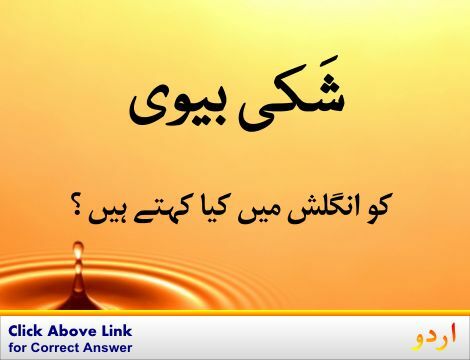 Tie, Link, Linkup, Tie-In : گرہ : (noun) a fastener that serves to join or connect. Fastener, Fastening, Fixing, Holdfast - restraint that attaches to something or holds something in place. 8. 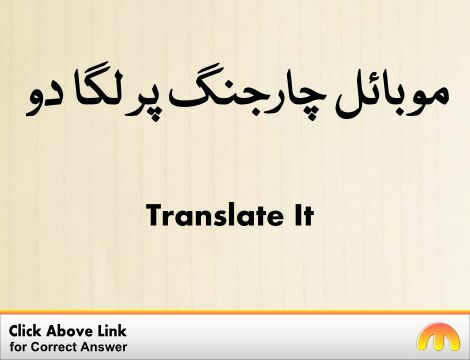 Tie : باندھنا : (verb) form a knot or bow in. Form, Shape - give shape or form to. 9. Tie, Draw, Standoff : کشمکش : (noun) the finish of a contest in which the score is tied and the winner is undecided. Dead Heat - a tie in a race. 10. Tie, Attach, Bind, Bond : جذباتی تعلق استوار کرنا - مانوس ہونا : (verb) create social or emotional ties. Relate - have or establish a relationship to. 11. Tie : رسی : (noun) a cord (or string or ribbon or wire etc.) with which something is tied. The Tie: Trends and Traditions. Coraline - Film Tie-In Edition. What Will I Do If I Can`t Tie My Shoe?. How to Tie 25 Essential Knots. Apprehension, Arrest, Catch, Collar, Pinch, Taking Into Custody : گرفتاری : the act of apprehending (especially apprehending a criminal). "Altaf Hussain arrested"
Knot : گرہ : any of various fastenings formed by looping and tying a rope (or cord) upon itself or to another rope or to another object. "Untie the knot"
Marriage, Marriage Ceremony, Wedding : شادی کرنے کا عمل : the act of marrying; the nuptial ceremony. "Let the marriage begin"
Hands, Manpower, Men, Work Force, Workforce : افرادی قوت : the force of workers available. For The Most Part, Largely, Mostly : زیادہ تر : in large part; mainly or chiefly. "These accounts are largely inactive"
Tie Down : رسی سے باندھنا : secure with or as if with ropes. Tideland : مدوجزری علاقہ : land near the sea that is overflowed by the tide. How this page explains Tie ? It helps you understand the word Tie with comprehensive detail, no other web page in our knowledge can explain Tie better than this page. 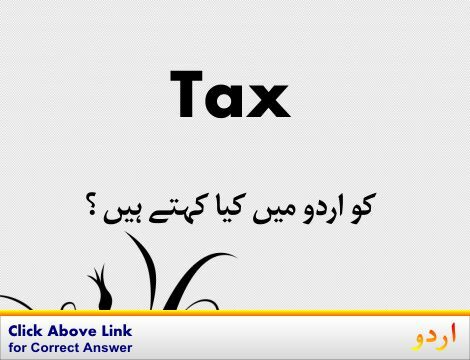 The page not only provides Urdu meaning of Tie but also gives extensive definition in English language. The definition of Tie is followed by practically usable example sentences which allow you to construct you own sentences based on it. You can also find multiple synonyms or similar words on the right of Tie. All of this may seem less if you are unable to learn exact pronunciation of Tie, so we have embedded mp3 recording of native Englishman, simply click on speaker icon and listen how English speaking people pronounce Tie. We hope this page has helped you understand Tie in detail, if you find any mistake on this page, please keep in mind that no human being can be perfect.